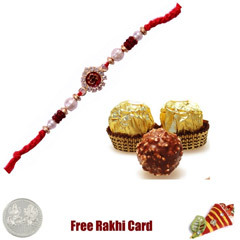 Rakhi is the perfect festival to let your brother feel loved and cherished. 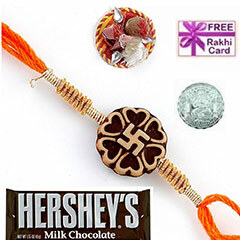 What if he is staying away in California US. 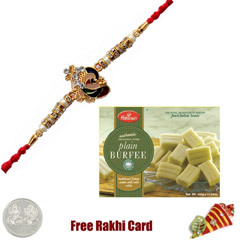 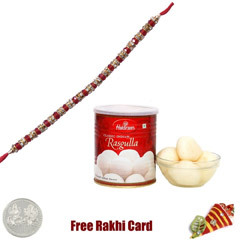 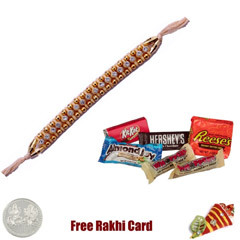 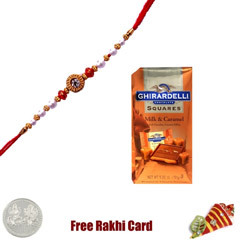 You can send rakhi to California online for your dearest brother. 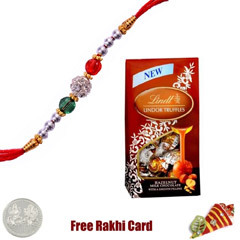 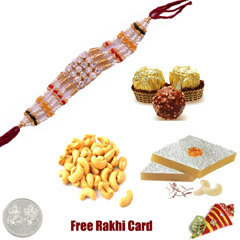 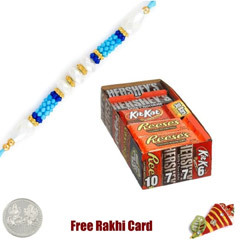 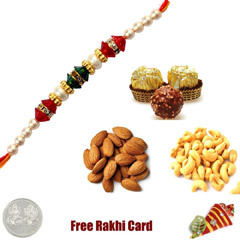 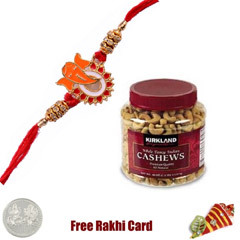 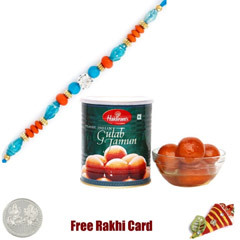 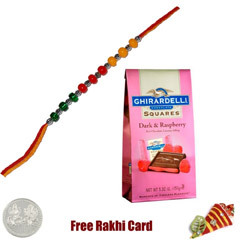 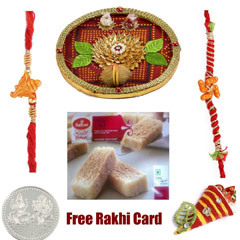 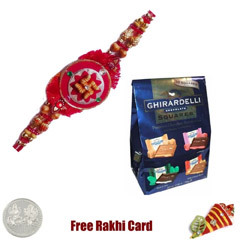 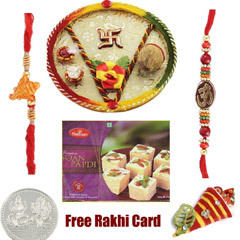 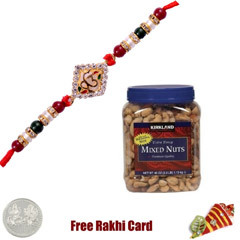 Rakhi.in is here to offer online delivery of Rakhi to California within a click of mouse. 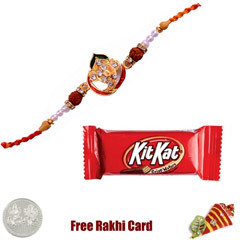 Celebrate joyful moments by sending rakhi online to your dearest bro in California. 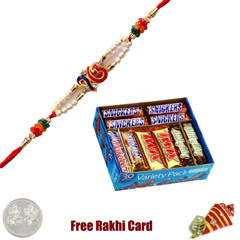 Send Wonderful Rakhi Hampers to California!! 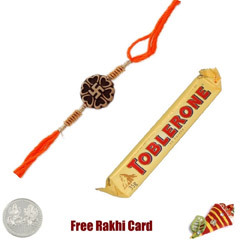 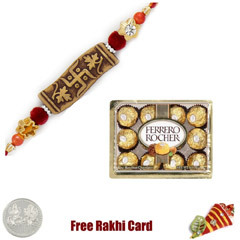 It would be truly amazing for your offshore brother to receive a wonderful rakhi hamper on this festivity. 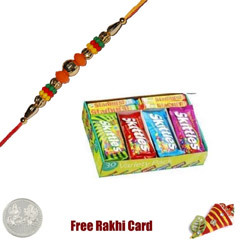 This is a golden opportunity to make up for all the bitter fights with your siblings. 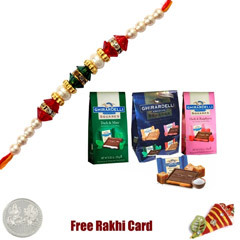 Surprise them with delightful gift hampers like Rakhi with Chocolates, Rakhi with Rasgulla, Rakhi with Gulab Jamun, Rakhi with Soan Papdi and many more. 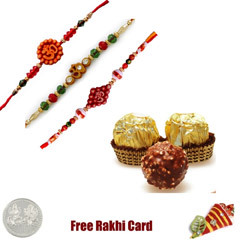 We are also offering wide range of rakhi collection such as Lumba Rakhi, Designer rakhi, Fancy rakhi, Spiritual rakhi and many more. 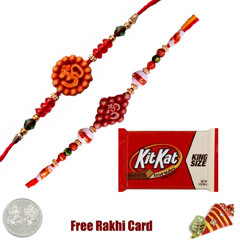 Rakhi.in enables rakhi delivery easier and simpler to long distant places like USA. 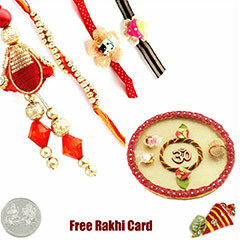 We have large catalogues of rakhi and rakhi gifts. 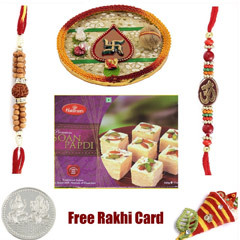 Online shoppers just need to select a product according to their choice and pay online via safe and secured payment portal at Rakhi.in. 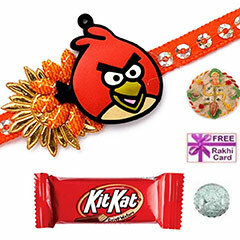 Your product would be delivered on time without any hassles. 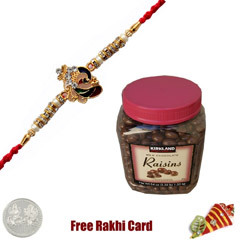 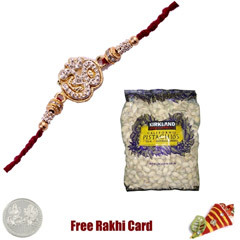 For the upcoming occasion of Raksha Bandhan, online buyers can enjoy service of free shipping at Rakhi.in. 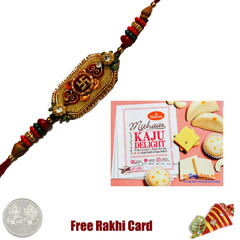 Also check out our express delivery service, mid night rakhi cake service and next day rakhi gifts delivery. 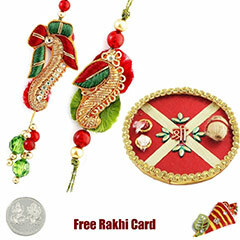 This portal is known to offer customer friendly services and smart user-friendly tools. 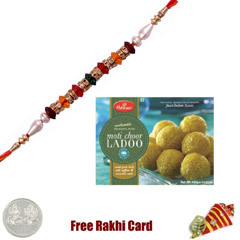 Check out Best Selling Gifts range –that comes with Free Delivery Facility to California. 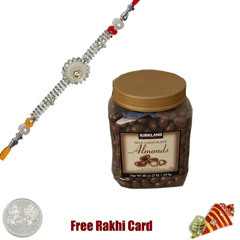 Rakhi.in offers rakhi gifts such as Attractive Silver Rakhi Combo Buckets Full Of Love International, Coaster Set n Mug For Sister International, Cute Red Teddy N Mug for Sister International, International, Black Mug n Coaster Set For Sis International, Dry Fruit Pouch For Rakhi International, Earrings n Big Sister Cushion International, Love Gift Combo For Brother International and Love you Brother Tabletop International.